The latest advice from Deputy Cllr Hugh Jones was something akin to we’ve set-up this zoo here but do not feed the animals. Then something along the lines of some of these animals are not even wild and are actually domestic pets with homes and quite a few of them have been biting the work experience kids during feeding times. Well Mr Jones, based on the evidence you have provided us it’s the council’s zoo and they should be doing something about it. This entire farce began as a two-fingered salute by the Exec Board to the local residents who fought, successfully, to prevent the demolition of the Groves. It’s now entirely out of hand. The logic of course is entirely flawed as security for the site is needed whether the building stands or not (they’re not camping there to admire the mock Jacobean architecture) and you could argue that significant security would be required if there were to be primary schools built on the site. “We have been aware for many years of the anti-social behaviour and the damage that has been done to the building. “It will continue and that is why we wanted a demolition of the current building. An Exec Board that pursues personal, petty feuds at the expense of further national ridicule is far more concerning than the campsite itself. Absolutely spot on Adam. It’s beggar’s belief that the Exec Board leadership have gotten away with pulling the wool over the general public’s eyes for so long. The independents all got voted back in off the back of doing local favours in their respected wards. I learned in this year’s council elections that the very low turnout of people who actually bother to vote, do so on a ticket of who they know in the local area rather than any merits of putting together a stable council to push forward an agenda for the greater good of Wrexham. The absolute crock I heard about people’s voting intentions were things like: “Ooh well our man standing fixed me mam’s gate last year” or “I knew Councillor T’s Grandad and his family have lived in the area for generations, everyone else on the ballot are outsiders, I won’t be voting for them”. Because they are independents there is no coherent party-line or coalition line to adhere to governing Wrexham, so literally we have to put up and suffer with Mark Pritchard’s cloak and dagger approach (I really believe he hides in the shadows) of creating an antagonising element in Wrexham that he pushes all the blame and focus on and then whilst the rest of the town rots, all the issues can be blamed on this one thing and the rest of the town’s shortcomings can go jump. Unfortunately the majority of townsfolk who don’t really drill down into the nitty gritty of what’s going on, will see national headlines about druggies and homeless and lay all the blame right there, after tutting about how bad the place they live in has become, but then won’t want to lift a finger or make a call to action to actually do anything. Why is this encampment not prohibited under the PSPO? Several posts have been removed from this thread. We try and make the forums available for as much open debate as possible. It should go without saying personal abuse and unsubstantiated allegations are entirely unwelcome. More positively… RE: Bubble, the bug that meant replies were delayed in appearing due to the cache ought to have now been solved – hopefully! I have watched this thread with interest and most seem to agree that the council seem to have their own agenda for the Groves and are not taking into account the views of the public who voted them in. How would any of us like our relatives to spend their last days in the hospice across the road from this much abused site with all that’s going on there. If the council pulled their collective fingers out this area could have been well on the way to being restored and a new school could have been built on the vast playing fields. Why did we require money spent on a Arts Hub in the Peoples Market when it could have been incorporated within the Groves? 5.4 Only complete demolition and site clearance will reduce security patrol costs, prevent damage, protect health and safety. Obviously false. Making use of the site would also address these issues. 5.6 There are risks in relation to anti-social behaviour, unauthorised access, damage occuring due to the building remaining in situ. We are surrounded by buildings “in situ”. This isn’t a problem. The Groves has issues because it is not in use. 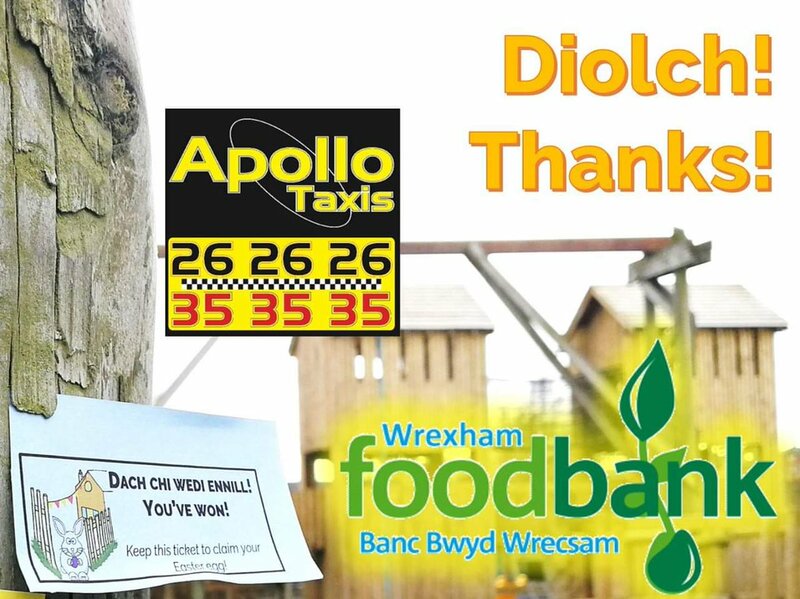 It’s brilliant that the Wrexham public have embraced homelessness and this camp – all the donations of food, clothes, etc being given is fantastic. I have some homeless addict friends in Rhyl who say they don’t get anything like that up there, just get persecuted and moved on by the authorities. They are now thinking of “relocating” to Wrexham in fact! 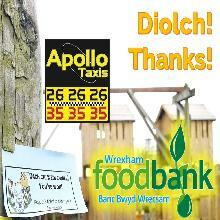 Well done Wrexham. I think it’s highly commendable that people want to help out the homeless regardless of their addict status they are just fellow human beings in need. I think the council need to tone down their rhetoric of criticising people who want to provide direct support to those in the camp. There is quite a desperate plight for many. Someone has been appealing on Facebook to get a spare wheelchair for a young homeless girl with a broken hip. Many people have been sympathetic but there are some who have suggested she shouldn’t get one as she’ll only sell it on for drug money. Now I’m quite a cynic & not ruling out that, that could actually happen, but sneering and making the worst assumptions means that no-one will get help and the problem will only get worse. You only need to look at Marky Prandle as an example of someone who has turned his life around after years of addiction because people in the town didn’t quit helping him. Read 1,245,190 times in last 30 days, and 73,799,707 times since we started in 2011.